Hafeez Khan practices primarily in the areas of child protection, civil litigation, First Nations law and immigration. Born and raised in Winnipeg, Hafeez obtained his Bachelors of Science – Ecology degree (a joint Zoology and Botany program) from the University of Manitoba. He subsequently obtained his Bachelors of laws and his Bachelors of civil law at McGill University, in Montreal. Prior to entering the practice of law, Hafeez interned at the Institute for Education for Democracy in Nairobi, Kenya, where he worked in conjunction with United Nations and International funders on voter education, election monitoring, and the training of electoral officers. 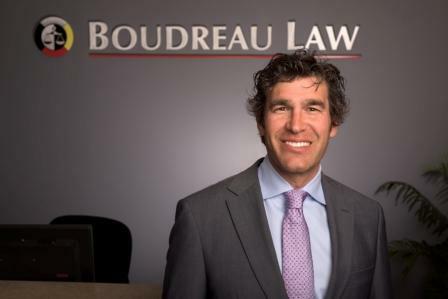 Upon his return to Canada, he articled with the Public Trustee of Manitoba and worked primarily in the areas of mental health and estate law. Since entering private practice, Hafeez has been involved in all aspects of Canadian immigration law, including immigration applications, appeals, detention reviews and refugee claims before the Immigration and Refugee Board, and judicial reviews and stays of removal before the Federal Court of Canada. Over the course of his career, Hafeez has had the fortunate opportunity of assisting clients hailing from nearly every country in the world. Hafeez is general counsel to one of the provinces Child and Family Services Agencies and regularly attends court in child protection proceedings, with an emphasis on finding collaborative resolutions to difficult circumstances. Hafeez also represented one of the three parties with full party standing at the Phoenix Sinclair Inquiry, one of the longest inquiries in Manitoba history, which undertook a review of Manitoba’s child and family services system. Hafeez is also a chair on the Mental Health Review Board, which hears various applications such as review of involuntary admission certificates under The Mental Health Act.